My name is Tracy Belling and I would like to tell you a little about myself. 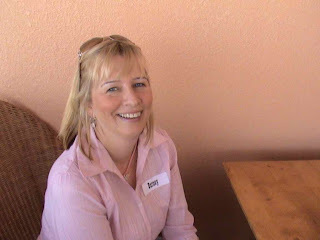 We are enjoying living here in Dubai and just love the warm friendly people and enjoy living in this exuberant ‘United Nations” atmosphere with all the beautiful sights and sounds which just inspire me as a Scrapbooker. 1. How long have you been scrapbooking/card making and how did you get started? 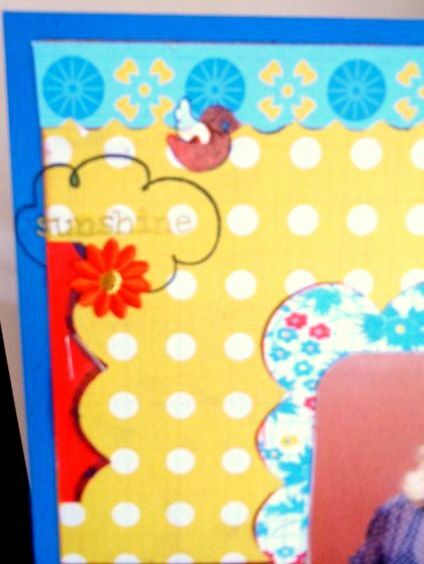 Scrapbooking came to my life seven years ago by chance, when somebody gave me a kit for my birthday. I opened it up and drank in the colours, shapes and designs and was instantly in love, despite never having been ‘arty’ before. I love to teach scrapbooking, which I am very lucky to do at Paperlane and at my studio at home, there is nothing as fulfilling for me to see and hear the enjoyment scrapping brings to my students, it makes my heart sing! 2. From where do you draw inspiration? Many scrapbook legends inspire me, but my favorite at the moment is Nic Howard. 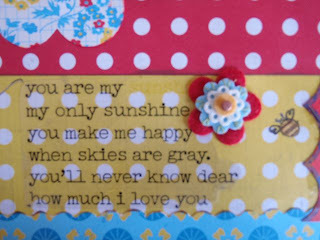 I am very much a mixed media Scrapbooker and my natural style is shabby chic, vintage, full of shapes and texture. 3. What are 3 other products that you can't live without? The three products that I could not live without at the moment (note at the moment, because it changes all the time, hey girls J ) is my Claudine Hellmuth Multi-Medium matt gel, all my Adirondack Paint Dabbers, and my Tim Holtz Tonic Scissors – where have you been all these years! 4.What did you enjoy about Lil Bee's Kits? This single page layout was done using the pages from the June "Li'l Bee" Kit - and what a gorgeous happy set of papers, it was probably one of the quickest layouts I have done in a while, because everything just came together so delightfully. I used the "Hello Sunshine" lettering included as my title which I affixed to the flower-shaped die-cut. A second die-cut formed the background to my photo, I was also able to use the gorgeous acrylic stamp set from the June Kit, to add a bird, a BEE in honor of Li'l Bee of course, and the scrolly doodle shape - I can see doodle appearing on many of my layouts in the future! I added my own flower and butterfly elements from my stash. I want to share with you also that on the layout to the righthand side at the bottom and the lefthand side at the top, you will see a red scalloped shape stapled to each side. I added these elements for balance, but what is interesting about them is that I cut these out of the template sheet which the scalloped die-cut behind my photo was held in, so it was in my bin but the scalloped shape caught my eye and I salvaged it from there. It was white so I colored it red with a black border with my Copic Marker Pens. I also used the Copic Markers to colour in the bird and the bee. 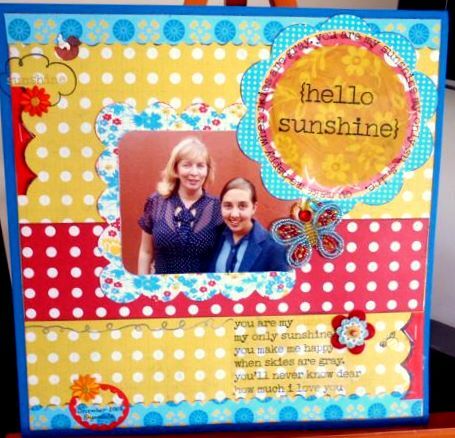 Thank you Tracy for inspiring us with this lovely layout! !